Flattened heads of pinkish-white flowers, opening from carmine-pink buds from December to April, followed by dark blue-black fruit. This popular form of laurustinus is denser and more compact than the species. Thriving in sun or shade, the shiny, dark green foliage provides an excellent evergreen backdrop for ornamental and feature plants. Hello, No, this is a self-fertile plant, so each plant will produce berries without a pollination partner. Hi - i bought a camelia and a viburnum. I had originally intended to put them on opposites if the garden, but now I'm toying with idea of putting them in the same flowerbed. Question is how far apart is the minimum I can plant them? I have a quite small garden - and I'm looking for a packed in style, ie almost overgrown look with lots of plants so dont mind if the plants won't get their own space compleatky - but what is the closes acceptable for them to not kill each other off? Thanks! 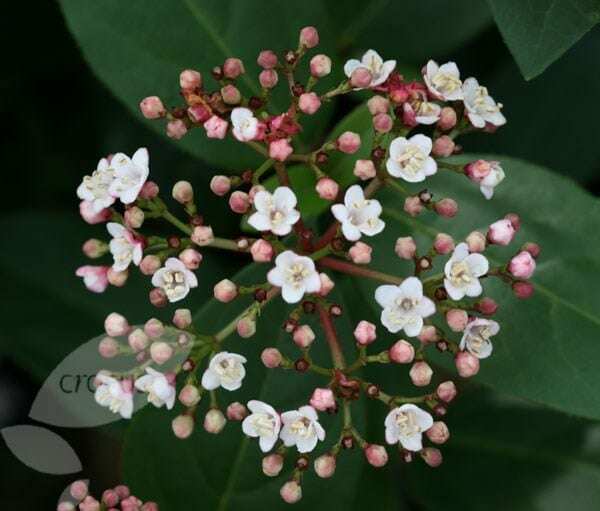 Hello, The Viburnum has an eventual spread of around 3m, while the Camellias do vary in size, so how close you can plant them will vary depending on which one you have chosen. It is possible to plant them very close together (say 1m apart), but do keep in mind that in time the more dominant plant will usually take over at the expense of the other one. I've seen a few small almost clipped balls of viburnum that look amazing. I want to add one to my garden but need it to stay small and 'almost' clipped. Is this possible to maintain or will I lose the flowering potential keeping it topiaried? If I can do it where do the flowers come from so I can make sure it stays flowering? 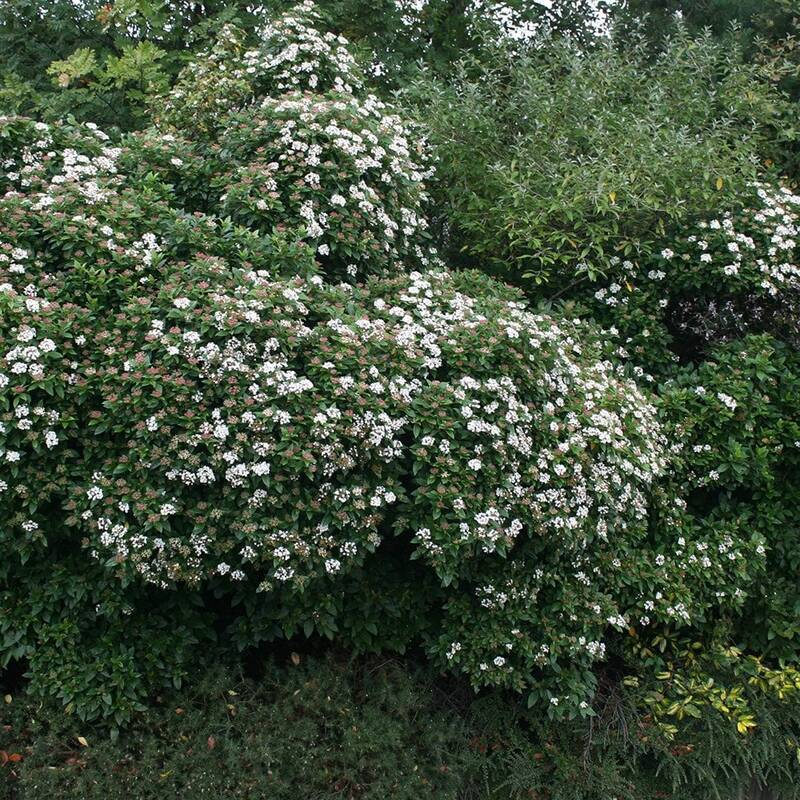 i planted a viburnum tinus eve price hedge last year. I would like to add some colour to the hedge over the summer period. 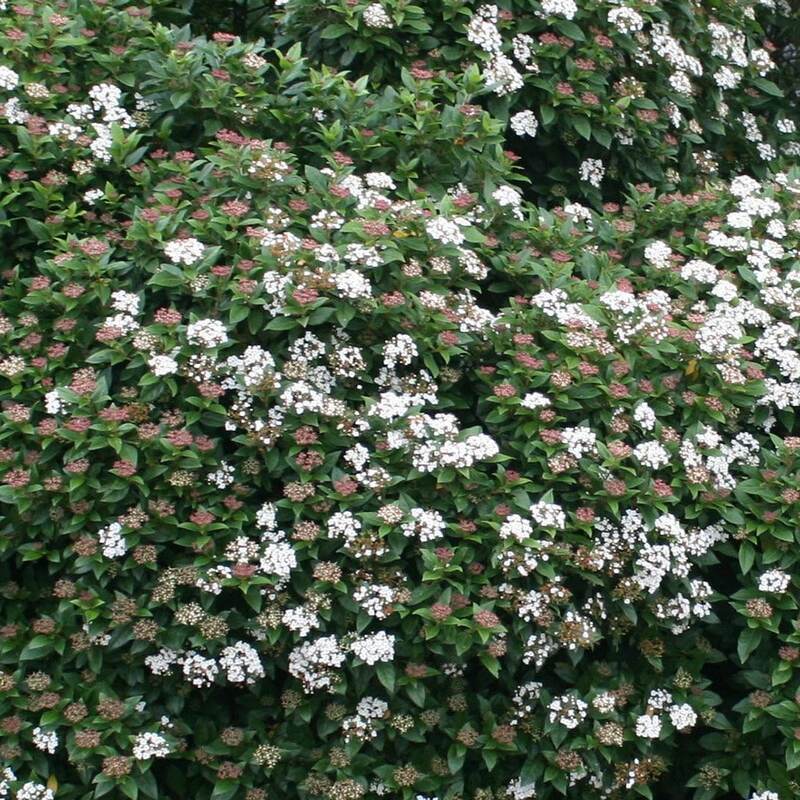 Could you recommend a climbing plant i could combine into the hedge that compliments and will not affect the growth of my newly planted hedge.I would preferably like the colour to be white. Many thanks.